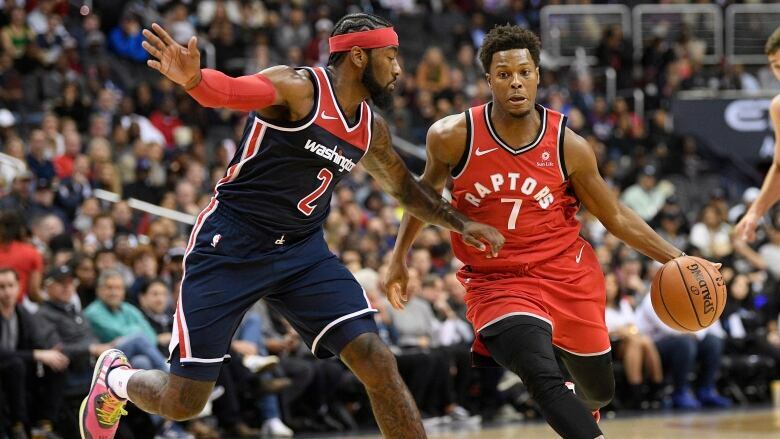 The Toronto Raptors defeated the Washington Wizards by a score of 117-113 on Saturday night at Capital One Arena. Kyle Lowry carried the Raptors due to Kawhi Leonard taking the night off. Lowry had a double-double, scoring 28 points and providing 12 assists. Nick Nurse tinkered with the starting five yet again, starting Norman Powell at small forward, and starting Jonas Valanciunas back at centre. Valanciunas had a big first half, as he ended the night with 16 points and seven boards. Toronto looked comfortable for most of the game, extending their lead to 13 halfway through the fourth quarter. Washington were slipping a bit due to calls made by the referees that they thought should have gone in their favour. Head coach of the Wizards Scott Brooks was ejected while trying to confront one of the referees. The dynamic backcourt of John Wall and Bradley Beal was present as always, with Beal carrying the load late; ending the game with 32 points. Beal also became first in most three-pointers made in franchise history, passing Gilbert Arenas. Washington cut the lead to two with under a minute to go, but Fred VanVleet closed the game off with a clutch shot. VanVleet finished the game with 13 points, five assists and four rebounds. The Raptors will host the Charlotte Hornets on Monday night, with tip-off set for 7:30 p.m. at Scotiabank Arena.